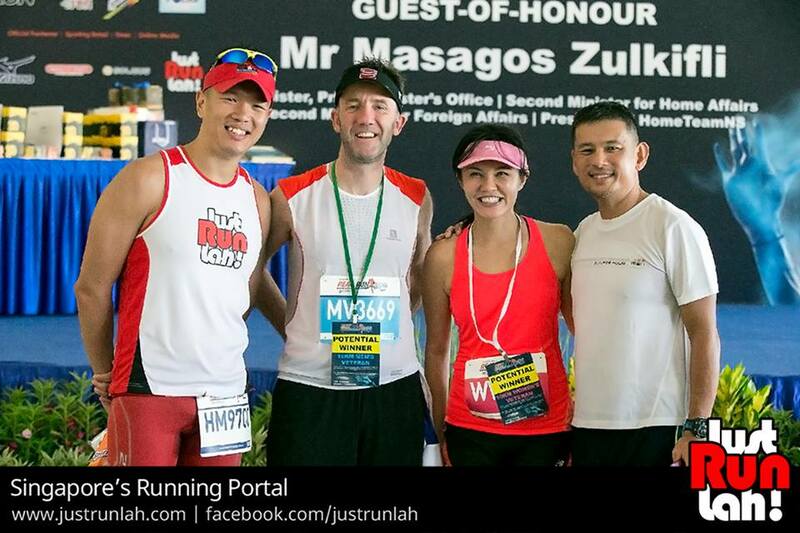 Race Review: HomeTeamNS Real Run 2015 [10k] (by SinaiStrider) | JustRunLah! Here’s a race with a reputation. 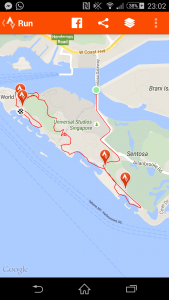 The toughest 10k in Singapore! Wow, well ok, I can’t really NOT do ‘the toughest 10k in Singapore’ so I’d better sign up. And so it was that my alarm clock went off again at 0515 on Sunday morning, another early start ! Mrs Strider and the dog slept through the noise and I crept quietly downstairs for a quick bit of breakfast before heading out. Real Run starts on the Sentosa Bridge, so I park up at Seah Im Food Centre and wander over the road. There is something odd about walking through a shopping centre before 6 in the morning dressed in shorts and a vest, but since they had the air-con working I took the shortcut through and enjoyed the cool air break. In the starting pen I meet the usual suspects, Jenny Huang, Lexus from F1, Peter from JustRunLah, Sinai Strider Rob and his wife (her first 10k road race!) and a few other regulars. Ming Ham is there with his trusty Canon, snapping this pic of me, not quite sure what I am shouting at! Before the flag off, the 2 chaps doing the 50 days of 50 k’s appear at the startline – massive respect, I think they are now on day 30 or something – I cannot imagine what they must be feeling. But KowTow and Kudos to them both! We head off up the bridge into Sentosa, I’m about 20 places back from the front group (lots of kenyans in the race today) and the pace is rapid. This race, as you probably know, has various surfaces and inclines, so everyone is trying to use this section to get some good pace in. We head on the road to Tanjong Beach, right along to the far end, then we turn and the first beach section is upon me. I think this is the first time I have ever tried to run fast on sand and I am really not very good at it. The sand on the Sentosa beaches is quite ‘sinky’ and the shoreline is at quite an angle to the sea (both due to these not being natural beaches) and this makes a tough job even tougher. Not being the lightest person in the world, my feet sink into the sand every time I try to push off and up the pace – so I just try to focus on maintaining a consistent breathing pattern and grind my way through, pretending it’s a hill. This works ok on Tanjong Beach, but I am overtaken by a couple of people, including Prasant, who is also in the Male Vet category – I’m not going to let him get away, so I try to stay close. A small interval on the tarmac and then we’re onto another beach section at Palawan. This one is longer and seems tougher, but I haven’t lost any more placings. I know there isn’t any more sand until the end, so now I can focus on trying to get past Prasant and pushing on a bit. NOW WHERE’S THE TRAIL SECTION? Next we head up next to the Merlion statue and into a sort of jungle path. This I think was advertised as the ‘trail’ section, although it’s all concrete, so it’s really just a footpath – but there are a few sharp climbs, so it’s certainly not easy. Here I am able to catch Prasant and Heider, a guy I know from Strava – then I run for about 2-3km with Vincent, who I know of through fellow Strider Ben (are you keeping up?). Into the last 2.5k now and some downhill action, I’ve managed the race well up until now, so I am comfortable to throw myself downhill and put a few seconds into Vincent (and hopefully a few more into Prasant). Finally we’re down on the Siloso beach road, where we head back away from the finish area before doubling back for the last beach section. One thing I try to never do when I am racing someone and into the last sprint is look back to see where they are, the moment you see someone look back, you know they are struggling and it gives a mental boost to the chaser. I just dig in and try to run as fast as humanly possible across the sand, betting that Vincent and Prasant won’t be able to run fast enough to catch and over take me. 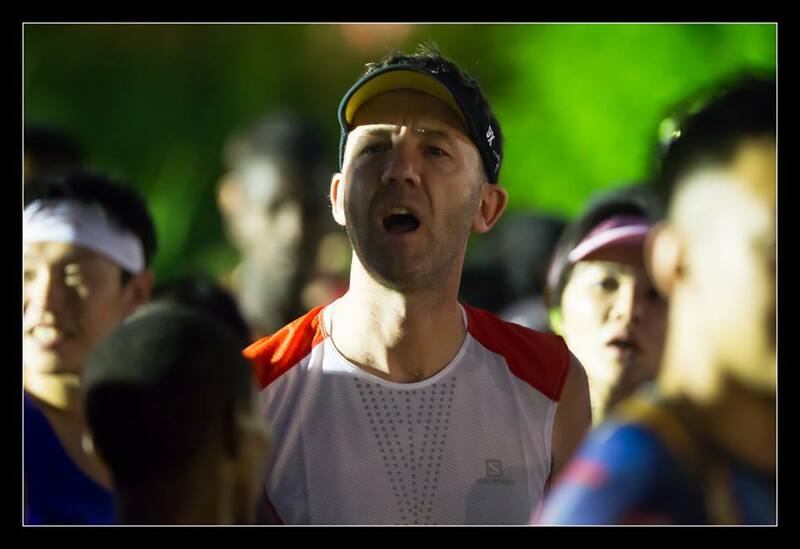 This is the racing buzz, pure adrenalin part of the run, I really have no idea if they are 5 metres behind or 200 metres behind, because I am not going to look, I am just going to run. Ming managed to catch my finish sprint on video and it’s interesting to see that 1) there isn’t anyone near me and 2) actually two other people have passed Prasant and Vincent in the last km. I cross the line, just under 43 minutes. One of the stewards comes over and I find out I’m in 3rd place for the Male Vet category. I’m suddenly feeling like Peter Kay in this classic UK TV Ad! ‘Ave it son! It IS a tough race, the three sand sections are killers, really breaking up any rhythm you find. It’s also really easy to over do the effort on the sand, so you have to be really careful with your tempo to ensure you don’t burn out. Similar strategy to racing a steep uphill, try not to lose any time to your competition, but don’t try to gain time here or you will pay later, unless you are some sort of sand running god, in which case, this is the race for you! Similar to Energizer I ran a ‘smart’ race here I think. 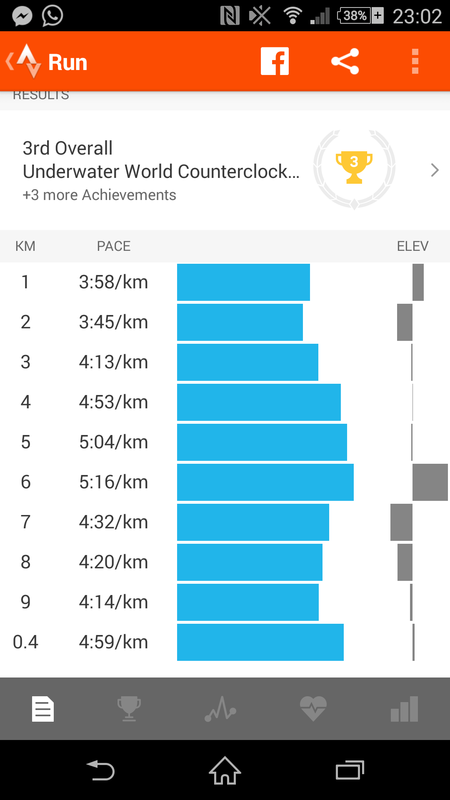 I ignored my watch and ran on a combination of perceived effort (trying to keep my breathing pattern similar across the variety of surfaces and inclines) and racing against people instead of against the clock. I’m no running coach, but I would definitely recommend this sort of approach for any race that has this sort of variety. One thing I will say that really stood out for me on this race versus many others was the quality and enthusiasm of the volunteers. Great signing, loads of cheers and encouragement – a really well managed event. Finally it’s time for the presentations, this takes quite a while, but it’s nice to sit in the shade and chat with friends, so I’m not complaining. The presentation is done and it’s time to head home. It’s only now that I realise the car is miles away. I walk from Siloso to beach station, then get the monorail to Vivo, then wander back across the road to Seah Im. I arrive home just before 12, 6 hours after I left – it’s been a long tiring morning, but a very satisfying one. 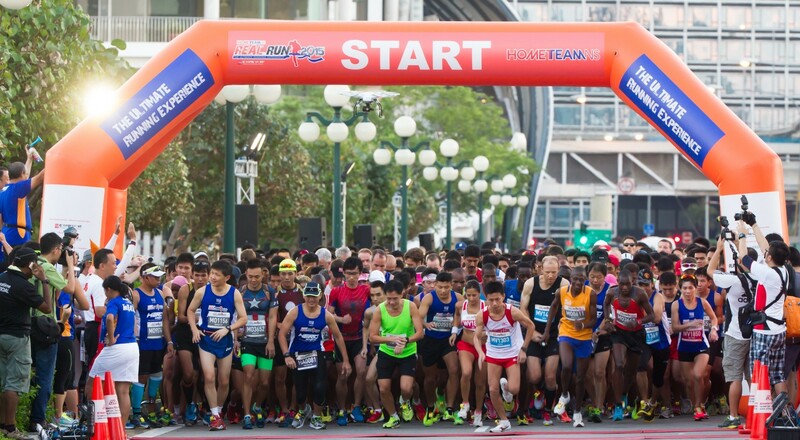 Thank you HomeTeamNS for putting on a really enjoyable event and the sponsors for a great set of prizes, it certainly is ‘the toughest 10k’ in Singapore and I’ll definitely be back to give it another bash next year. 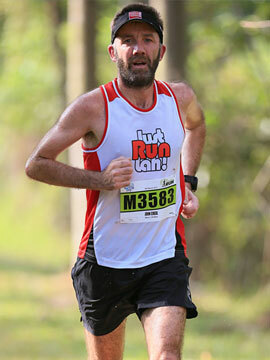 Thanks also to Just Run Lah for the race entry and VGO/Salomon Singapore for the awesome Salomon S-Lab gear! Next two races for me are both team events. Mount Sinai Striders making their trail relay debut next month at The Great Relay (6 man team doing the 100k) then we’re out again at the Mizuno Ekiden in July. Stats and Mapping from Strava below, happy trails! editor’s note: For the photo gallery of Real Run 2015, click here. Having seen a few articles and the official website about the race, I was very curious to know what the experience would be like, and whether it’d live up to the reputation of being the toughest 10K, so thanks for the write-up and sharing your experience. Wish I was in Singapore to run it too! Third place in your category is really awesome. =D Bravo, and keep on racing hard! cheers. it’s certainly not an ultra, but as 10k races go, it’s quite tough, just because of the sand. Actually I thin the two 10k’s at the NUS are ‘nearly’ as tough – and they certainly have more hills involved, but the sand is a killer, so RealRun pip’s them at the post!